Have you ever wished that your products or services could just sell themselves? In this new video, our friend Gary Spirer the CEO of Dilogr, talks about the future of automated sales and marketing. Along with his insights on where he thinks automated selling is going. You’ll also get an inside look at how Dilogr works and see how it can be used to create engaging online experiences that will help shorten the average time of any sales cycle. For those of you who aren’t familiar with Gary, he’s an established thought leader when it comes to automated selling. A successful CEO, past best selling author on crowdfunding and serial entrepreneur. To watch the previous Dilogr video mentioned and learn more about what Dilogr can do for your business you can check it out here. Micah: Hey everybody, it’s Micah with Memberium and I have with me my good friend Gary from DilogR. Gary, say hi. Micah: So, I’m really excited to talk to Gary, he’s somebody I’ve known for I’m not even quite sure how long, like maybe close to ten years or so, long time and today we’re gonna talk to him about his, you know, company DilogR and what they’re doing but we actually get to pick his brain so this is kinda a hybrid, it’s not really about DilogR, you know, Gary is gonna talk to us about automating sells processes and kinda automating sales people. For those of you who recognized the name DilogR you might know we did an interview or, sorry, a webinar with them a couple of years ago and at that time it was really focused on how DilogR is used within membership sites because they do all this cool stuff like persona quizzing and we’ll get into what DilogR is but just to give you guys an idea, it’s really expensive and we already have one webinar that covers the whole membership side of it. What I’m really excited, tho, to talk with Gary about today is that DilogR is kind of the head of the puck, so it’s where things are going in terms of automated selling and you’ll hear all about the reasons for that and it’s actually really cool, a lot psychology around sales that Gary understands as well as technology is gonna be really interesting. So, Gary thank you so much for coming, thank you. Gary: Thank you Micah, nice to meet everyone and I’m very excited about sharing some of the things that I have experienced over many years so, look forward to discussing this. Micah: Cool, to jump right into it, let me just ask you maybe if you can share a little bit about your history, so, I know you’ve got a lot of business experience, if you can cram it into a couple minutes so they kinda have an idea of where you’re coming from /to get started that would be great. Gary: Sure. Okay, so, I started actually loving content itself as a writer and novelist and then I went into investment banking and left after a year. I borrowed $15,000 and I actually scaled that into doing about a half of billion dollars of real estate transactions and also financing start-ups we raised equivalent of about a 125 million dollars direct and plenty transactions that I did for my clients, my investment bank clients, my own companies, I have a 100% track record and raising money so I know when you can get somebody to write a $50,000, a $100,000 or a million dollar check as an individual, you’re actually selling. And so, you know, I’ve perfected that skill of how to present to people and get them to want to invest money and then I scaled that into a digital world which will explain today, you know, how do you transfer the physical world into the digital world and back and forth with mobile and, so, that’s what DilogR represents that same type of interaction in the physical world now in the digital world. Micah: Cool, and as you guys can hear, you know, Gary knows what he’s talking about. To put it in layman’s terms as I understand it, and I’ve been, you know, using DilogR for a while, we use it at Memberium and we’ll get into that but what he’s really saying when he says like bring that sales process internal isn’t just like pushing e-mail out, you know the traditional autoresponder and once I get a lead I’m gonna follow up with them. He’s actually talking about carrying on a dialogue which is why the product is named that way but, you know, you say this or you ask the customer a question and based on how they respond the conversation changes. I mean, we’ll get into the nuance of that but that’s why I said it’s where the pack’s going because people, you know, they’ve automated marketing. I don’t know a lot of people who have automated sales very well. Gary knows about few using his product but no really automating a sales person or a sales dialogue, a sales conversation is more than just automating some e-mails and, you know, if they click this link, start this other e-mail it’s actually a dialogue. So, Gary, let’s really briefly, maybe if you can just cover what DilogR is, what it isn’t and just a high level of review of that so they have that context. or so forth they may not have the context. So, starting from a simple place, most people have a website and they may have a blog, they have e-mails and landing pages. And those are the main tools and then people try to move into a traditional webinar where they may move into a product launch and that’s becoming more difficult because people aren’t opening as we know the e-mails, it’s a crowded space and how do you cut through that and stand out from the crowd. So, what I looked at is could we take the same things that you are using, the same tools, and they are integrated with a CRM system such as Infusionsoft or ActiveCampaign or Hubspot or integrated with Eloquent so we compliment all the different tools that you’re used to working with. So, if I wanted to create a some type of interaction I might say “Why are you watching a video?” , right? And we put that video, let’s say we make that video a page or we put that into a link on your website. People come over and the big question is who is watching the video? what are they leaving? what’s their interest? And so, marketing because it started from the CRM systems, they’re kinda dumb systems. They basically respond to what you tell them to do and the world shifted where they wanna engage now. So if you flip it, you need to engage the people at the point of getting where the traffic’s coming so by the time they’re opting in through a process of questioning or somebody watching your video, you really get a sense of what they want right now and then you can move them into an offer pretty fast because they’re telling you what they want. “Do you want red? Do you want this? Do you want that?” and everybody is at a different stage. So, if they’re not ready, you know enough about them that when you’re sending out e-mails or other communications after, you can say “Hey, you said you like this or that, what about this?” and so that dialogue continues and you’re basically engaging. And when you engage, you’re getting awareness and you’re getting attention and that leads to a quicker sale because a person feels you’re listening to them. Micah: Yes, so basically, what I wanted to explain to you guys, when Gary talks about how someone’s gonna come to a video and interact and so forth, what that looks like, and Gary you can add on to this, is that the video kind of stops at some point. So the video engaged them immediately, like he says, right from the traffic source, and then once they’re kind of engaged and watching, at some natural point it’s gonna say, you know, “Hey, are you A, B or C?” or whatever it is, and then when they choose something it branches to something else, it’s kind of a choose your own adventure. Do I have that about right? Gary: Yes, so actually, just to frame it for people, most people are familiar with just, you know, you go to a landing site, you go to a regular website and there’s a video playing, right? And they play and it could be, you know, one minute or two minute explainer video, this is, you know, who I am, this is what I’m about or it could be a VSL, you know, more of a slideshow or, you know, face to face or then it could be a longer webinar that is recorded, right? And so, what we looked at was, as Micah has mentioned, okay, so let’s say somebody comes into your video. And they’re watching some presentation about your products or your training and they stay for, you know, five minutes or less and they leave. Now that person who stayed for five minutes, and maybe a person stayed for one minute, and a person stayed for ten minutes, and let’s say it was, you know, twenty-five minutes, every person that leaves at a different point has learned so much. So you may want to trigger an e-mail if they, and we have that set up in DilogR and then it triggers Infusionsoft or Hubspot or ActiveCampaign, if they come in and they leave at a certain point, send them this e-mail. Now it’s, Micah said, during that, while you’re watching, we can time a question to say “What’s the biggest challenge you’re having in marketing?” or “What’s the difficulty you’re having in moving somebody from where they are to a sale?” And what people don’t realize is that marketing and sales is basically movement. We’re saying “Okay, you’re here, how do we move you to the next place?” but in the real world we want that person that we’re interacting to self select. So, if they say I want this or that, they’re participating in their own solution with their own direction. So, the more advanced, which Micah mentioned, was that we actually have a pattern on, we issued about three months ago, where depending upon how somebody answers in a video, and we’ll show you this, you ask a question and depending on the answer it will feed you a different video clip. So, if we just like, we’re sitting across each other and if I was in a store and I might say “Are you interested in a skin product or a hair product?” and depending on how you answer I’m going to feed you a video clip which than will talk about what you chose. And then if you say “Well, do you have..” , let’s say it’s a hair product, now that you chose that, do you have red hair? this hair? you looking for a shampoo? you looking for hair dye? looking for volume? and every time you answer it can feed you a different clip. And we can track all the engagement and everything you’re doing as if it’s an individual clip, it’s not a redirect. So, that’s very powerful marketing. Micah: So, it’s kinda funny because I just want everyone out there to understand a couple things as Gary as you’ve touched on some of those other features I realized I’m jumping the gun and I’ll order it for you just real briefly because I wanna keep you high level on the concepts because those, you know, as I’ve listened to, are also super valuable and we’ll get into more but just so everyone understands, DilogR is a platform with a tone of features. Way to many to go into, that’s why I said there’s a whole other webinar just about the stuff they do, you know, membership site related. Gary: So essentially, what you.. the whole idea, the secret behind DilogR is most people you read about is big data, right? So if you…It’s a funny example but I think this will bring it home to everyone. So, let’s say you’re a meat eater, right? You go to the doctor and he’s freaking out, he’s.. wow look at you cholesterol, you do this, he said no more meat, right? Now big data, even that it’s personalized they think they know you, right? So big data has “Oh you are a meat eater” so, you know, you just switched, you’re now a vegetarian, right? Somebody, let’s say DilogR has sent you something, you’ll say I’m a vegetarian send me vegetarian information, recipes, all this stuff. Big data is gonna keep sending you Omaha’s stakes. So the problem in the market is that everybody thinks the solution is big data, it’s not. It’s the critical micro small data, the personal data that makes all the difference because otherwise you don’t know at that moment, right, if I go to a restaurant and I’m ordering, I don’t walk in and the waiter every day says ” I know exactly what you want, here it is”, wait a minute, today I don’t want that. I want a salad, I want this. So, the way the market is, it’s ” one size fits all ” and what we’re doing is saying no, what Google says and why the world is going mobile, they’re in Micro-Moments. So, Google says “be there”, which means engage where they are, not where you want them to be, to be relevant, useful and three, be fast. Which is just the way we’re operating today but the tools you’re using don’t operate that way. And so, you’re being shown strategies that are getting antiquated and that’s why show up rates, and it’s much harder to get people to engage because they’re not set up right. They’re set up as reactive rather than the way people naturally engage but the technology now is catching up that you can have this real time engagement and you have to flip and it’s hard for people to see that but if you think how you wanna talk to someone, that’s how the technology in DilogR is set up for you. So I just wanted to mention that, that what we’re trying to do is convert ordinary, simple existing content that you have into an interactive type of dialogue that you could do this in minutes. And we’ll show you that, but don’t think this is complex. The platform makes it simple and easy and you could do this in minutes, what takes weeks and months without DilogR. Micah: Yea, I’m just sitting here thinking that it’s, I gotta amend the statement from earlier where I said, you know, this is where the pack’s going. I should say that this is where the pack’s going for a small business because some smart big businesses have this kind of tack, you know. But I’m sure it’s difficult to set up. In the small business world, mostly people, like you said, people have cobbled this kind of thing together with a bunch of solutions and that’s why, I guess, I’m saying this is where the pack’s going, because small business has to catch up to this and this the kind of tool that’s actually affordable and usable for a small business, you knows. Like you said, the platform disintegrates to the types of businesses using those, this isn’t a big stretch from that, if you can use a CRM you can use DilogR, basically, but it is.., I wanna point out a couple of the takeaways, cause they are a little bit subtle from, you know, what we’ve been talking about so far. And those of you listening, we are gonna get into more details but there’s just a couple, kind of, high level points here. One is, you know, obviously, the interactivity- I think we’ve kinda, you know, hopefully gotten through that enough. Well with something like this you can get them into a video that cuts to the chase because they’re self selecting versus, you know, being herded with the crowd and you’re right, you know, in this new, you know, world we live in, I’ll say, people are just more and more moving away from that, right? And it’s obvious, we all know it, but you’re absolutely right that the tech hasn’t caught up. And you said that the other day too, you know, talking about how CRM is a little bit dumb and it is. It’s like just an automated engine thing and there are some points which you might call, not quite intelligence but at least decision making, right, branches or whatever in the automation. But this is an actual interactive process where, yea, they’re telling you something and you’re responding directly to what they’re asking which is why, you know, not only are you skipping all the fluff that wasn’t relevant to them so you shorten the process, but just by answering their question directly you’re gonna get a sale. And like said, smart companies do this on Amazon, obviously they’re watching you and they’re serving you stuff based on what you’re looking for and they’re gonna make more sales by doing that then just “Hey everyone on Amazon” step one, we blast them for this book. Step two we blast them for this other book, right? So yea, I love it so far. So, Gary, you, you know, we talked about sales and marketing a little bit. One of the concepts you told me about was the idea of a virtual sales force, which I know is what a lot of people think they’re doing with their automated marketing, but talk about that a little bit more because that really, to me, was interesting, because our company, just as an example, is at a point where it’s like “Okay, yea, we really need some dedicated sales people”. The questions we get in sales go to support, some get kicked to marketing, there’s no dedicated sales but it’s an expensive thing to do, right? So the virtual sales force has just like “ooohhh” you know, thinking about that, so tell me more about that and you know, with what we’ve covered like what is the virtual sales force and why is it so engaging? Gary: Yea, this is, this is actually, to me, the most fun of all of this and, actually, I think is the probably the greatest innovation for you know, the audience and everybody that’s out there. So, you know, when we look from point of view of DilogR, when I look from the point of view of having, you know, invested and funded so many companies, I’ve probably looked over the years at 10,000 business plans and you start to see how markets evolve and what’s happening and this is not just for small business, this is going to much larger businesses. So what’s going on in the market is people waking up to the fact when you hire an individual sales person and I’ve went in and, you know, looked at, you know, more enterprise and you could be paying a quarter of a million dollars for, you know, marketing person but let’s say the average is $140,000 and sales are pretty close. And even if you back down and say, you know, “I’ll pay a third” so you might be paying $40,000-$60,000 dollars up front for a sales person. Well, I’ve read some shocking data, I couldn’t even believe this, but they said that it takes an average sales person, good sales person, 7 months to get up to speed on what you’re teaching them and then they normally leave, on average, in less than two years. So, I got a call the other day, a guy saying “Look we can create a virtual insurance agent, a sales agent, because the point is when that person sells, right, they’re good for how many hours, right, but the virtual person that you can train and script can get out and interact just like a person but here’s the great part, you could put it out on 10 000 sites and that person is working, you know, for 24/7 /365 but they don’t have to, you know, go to the bathroom, they’re not gonna gossip, they’re not gonna tell you how bad they are, they’re not gonna fall asleep and 95% of sales people don’t sell anyway. It’s a known fact that 80 or 90% of your sales come from 5% of your sales people. So, what’s happening is the market is going to move towards hiring a virtual sales force. Not only a sales person but we could take your simple content and turn it into a marketer, a trainer, right, somebody that trains, you know, interacts with the video. We’re using IBM customer service, hiring people so it’s basically becoming like a robot-like content that is gonna interact just like you’re seeing artificial intelligence come in. So the whole world is gonna shift, there’s gonna be chat bots and interactivity and it’s gonna shift more and more away from the regular sales person. And where you might need six sales people, now you may need one. You might have the one but it’s gonna go more towards internal sales where, like that video chaptering, the person will be shown things they’ll select and then get the lead and then they’ll see how good the lead is and hand it over to an internal person who then will follow up but now you need one person, potentially internal, than you’ll need six. So, I see that is becoming incredibly, it’s gonna change and just give you another statistic, we did something with a wide call center. 23% percent of their calls are just “turn the computer on and off” , “did you do this or that” so a lot of these simple functions are going to be replaced. So, that’s my vision, that you could hire, using DilogR, you could create basically your own advertise, your own image and you could even add voice. So, it’s not a video, you could add voice to slides or images and literally be talking to people and they’re interacting with you in real time. So, it’s pretty exciting but that’s where I see the world going. Micah: No, that’s beautiful and lest there be any confusion, when we say virtual sales force we don’t just mean they’re virtual because they’re in a call center somewhere instead of in your office, obviously we’re talking about, you know, an automated sequence of events or clips or audio or whatever it is, that has an interaction with somebody to move them, right? To move them further down the funnel and then if you need to get somebody involved, but I think everyone on here, or at least most people, you know if you have one of those CRMs you’ve drank the cool aid of automation. And so you get, you know, “hey I don’t have to stuff my own envelopes or send these e-mails manually, I’ll let my system do it”. But most people don’t get that, yea, this back and forth with the customer can happen virtually and that to me, you know, was a real lightbulb in my head, not just as, you know, a cost savings, it’s definitely a big cost savings because, you know, once you get that in place you just, you don’t have that salary every year, whether they perform or not, the turnover, like you said, all the other problems but it’s the fact that you can just move a tone more leads through to your good sales people and qualify them, right? So, your good sales people, the 5% who make most of the sales like you’re talking about, can cherry pick and the rest of it, really, an automated system is probably pretty good for. And obviously, just like with any other automation that any of you listening are doing, it’s only as good as you make it. You know, if you make really crappy video clips your virtual sales person is not gonna be very good, right? But if you’re already putting in the effort of having a one on one sales conversation, it’s not that hard really to create some clips and create a dialogue and some of these things. So Gary, I know we haven’t shown them, you know, how this looks yet. And I know it’s easy but in a couple of minutes I’ll ask you to maybe walk us through an example or two of how to actually build one of these. Micah: I did wanna ask few other questions. So, one of them is about, you know, we’ve been talking about sales in general, right? But I know, since this is content that we’re giving and people are feeling a little included with the interaction, you had mentioned something about how that increases, you know, the possibility of membership. Can you go into some of that? We need to send them over to a membership site and say “okay, now that you’ve learned this, we’re gonna continue that” because we’re engaged with them, we can’t just drop them off and say “thanks a lot.” Because now that we’re engaged, remember when you’re asking Q & A, Q & A is the most intimate thing because of the fact that you’re asking questions about that person and they’re responding. And if they trust you, they’re going to open up. So, an example is if I was doing something like questions about cancer and he wasn’t getting any traction on this, so we gave them a quiz, right? And with open ended the guy is inundated. Everybody has a story and questions and answers but once it was developed and then he creates, you know, membership area because now people will come in to get, you know, other people’s experiences that are similar that they can relate to. So, membership will actually grow with interactivity it’s gonna be much more and you can focus the areas within the membership to the areas of interest so it just compounds because then you go and say “do you like this or that?” and part of the members will like this and part will like that but it’s a common interest. You know, if I’m talking about golf and I start telling them about how to play and do these things, one person is more interested in putting and the other one in driving and these clubs and that clubs but the basic community is still interested in golf but I can segment them and then they’ll switch. Now, the other key part of this is, you call this, this is the next part of micro data which is important for the membership. So, every time I ask you questions I learn more about you so now I have affinity data so this means, let’s say I pay 5$ for a lead but I see that you’re interested in gardening but then I notice that you’re buying some other tools to fix the house up. So I find out you’re moving so then I say “well, do you want a mover, you’re looking for mortgage financing? you need a real estate broker?” whatever that is but now once you buy, “well, do you need Sherwin Williams paint or do you need furniture, do you need this?.” So it keeps growing. And that’s what makes this so amazing, that the micro data keeps opening up more sales opportunities and more places to put members. So I just wanted to point that out, that this is a whole new world where you can pay 5$ and end up a 1 000$ of return or more, and then because you’re interacting they’re gonna stay with you monthly so it’s not a one shot sale. Micah: You know, what I’ve found with DilogR is, yea it’s really surprising how much data people will give you. So like I said, we use DilogR at Memberium and we did this quiz and I have a consultant in the UK who I payed a bunch of money to and I thought “man, they’re going into all this debt, that’s kinda crazy” and ultimately when we got the results back it was really cool to see, you know, it was branching. So for example, of the people who have answered “yes, I am somewhat technical” how many of those people know, you know, API development versus how many of them just consider themselves technical. So the follow up question is, and the branching and all the things was really amazing and we’ve got plans to use that data within the membership site to customize the experience like you’re talking about, but the overall data too it gave us was pretty cool. And we didn’t do persona quizzing and for, you know, the DilogR recording that we did two years ago that Memberium did with DilogR, for those of you who wanna go check it out, that one does talk a lot about persona quizzing and then using those personas the customize the membership area. But what I kinda wanna talk about, Gary, is one of the concepts you had shared with me a while ago was that these little clips or these little pieces of content, they’re kinda like Lego bricks and they go on forever. You can clip them to anything you want, to any link, to any e-mail, video, quiz sales pitch. And I really like that because I make a lot of content and when I make a longer piece of content it seems to have a shorter shelf life, if that makes sense. So if I make an hour long piece of content the likelihood of something in there becoming outdated, especially for me in the tech industry, it is pretty high, right? So, it’s always bugged me it’s like “oh I gotta re-record that whole stupid thing to be in the right flow” but yea, this micro content stuff, you know, kinda building as you go, you know, so those of you listening, it’s not like you have to know the whole picture and build you know, the perfect artificial intelligence sales agent today, there’s a bunch of examples that are stupid simple and really quick and easy. So, I wanna maybe see some of those, but you can probably list off a couple of the simplest examples and let’s have a look. Gary: So, just so you know, I’m not a high tech person, I always say if they watched me typing or how I move things around I’d probably have a viral video, I’d beat out the cat videos. So, when I came into this I wanted to design something that was really really simple. I mean so simple that I could do it within minutes and turn it into a lead. So, the way we broke out, you know, our team was what we looked at and what does everybody have that they can, somebody can say “well I don’t have a video”, right? So you could understand “okay, you don’t have a video but today you can take out your iphone do a video. So, that’s not hard but, everybody has some photo, right? They always have an image or they have a photo sitting in their drawer. So imagine that we could take that photo and in minutes turn it into something that you can generate a lead in a sale. So, we’re gonna look at that and then the second thing I looked at and said how many people you see all day on, you know TV, at night and there’s a poll. You like this one, you like that one, so that’s one question. So, everybody has one question they could have and there’s so many places that we show you, like hundreds of questions you could ask. But there’s always one question. So you have one photo and we can put an interaction on that and we will show you that. It’s simple. Now, what we’re finding is you can create and generate all kinds of actions off one poll, right? So if I say “do you like this? do you like that? do you like, you know, The Giants or The Green Bay Packers?” whatever it is, whichever you choose I can send you an offer, right? So if you like this one or do you like republicans or do you like democrats, I’m not saying a word, I’m independent, don’t kill me, but what I wanna say is that whatever you choose can trigger an offer, right? So, if you choose this I say would you like that, you voted for this way, would you like this or that? So, it’s that simple and that’s interactivity so, we covered Q&A, we covered simple image and we can do the same with a slide. So, what we did was show you we can make very simple presentations of your entire company in minutes. So picture the cover of the puzzle box, because I always struggle how do I show DilogR all at once, you know, how do I show the different pieces. So, everybody has different pieces, how do you show that quicker? So, all these things you can do in minutes and if you had a video or took it off a camera, we can upload that video, put a question, put a quote action, put a lead form, give you embed code, you cloud put it out on your website or your blog or link it into an e-mail in minutes. There’s nothing here that you can’t do with exactly what you have and yet enhance everything and we’re seeing results, like we’ll show, we had a quiz with John Maxwell and he, you know he’s the leadership author, and he mailed, in this case to his west, he wanted 2000 quiz completions and he wanted to make 130 000 the year selling a 500$ product. And we took that, we created a quiz with him and answers that came out in a customized report built in DilogR and in two weeks he generated $265,000. That’s double his annual and he got 10,000 new leads and he got, instead of 2,000 completions, 26,000 and 10,000 shares. So we figured out just on the cash that he got in two weeks, there was 1800 to one or something like annualized 43,000 to one. And now we’re seeing 30 to 1 in a month. Just people coming in and being able to create content this fast, we did a calculation that the savings is enough to offset your add cost and just in the time saved that you could offset your cost and anything you would invest with DilogR. So, we can show you how quickly you can do this and how much fun it is so I don’t want anybody to feel that this is a tacky product. It’s designed to be non tacky so anybody can use this pretty quickly with a very limited knowledge about tech. Micah: Alright, so Gary, let’s jump into one of these examples. So, tell us what we’re looking at on the screen here and how it works and walk us through how this was actually built, if you would? Gary: Okay, so, we collaborated with Infusionsoft, you know, which is the CRM system that triggers e-mails and they wanted to explain, you know, what they call, you know, their funnel and the way they see their sells funnel so basically attract sell and wow people. And they wanted a way to make it come alive and could they give more information in the condensed way because, as you know, the entire market’s moving towards visual and I think you can process 60 000 times faster and image and if you also look at what’s happening on Instagram, they’re starting to move towards, you know, an interactive photo. So, this is an image but you could do this on any photo, anything. I actually did also one on the front cover and back cover of my book, so you can change anything into an image or menu and make it come alive. So, we started with Infusionsoft and then they wanted if you go to the top to attract, so what you can do is you picture the old post it, right? Where it pops up and then you could write anything into the post it. And then, what’s unique about it is you can design the internal post it and then you could link to Amazon or we can link to a little quiz or it could be allegiant form so you could put in anything you want and as we get into the admin you could take an image and literally create this properly in five minutes. So, that’s the info there, then click on the next, you can drag and drop your hotspots and the reason we designed this is that because when the person comes in the minute that we caught a hover because it pops up it captures your attention. And any of these icons you can make to be your logo, you can change the size, the look of them. So, you have complete creativity and then if we get a chance you can also track with heat maps which ones they’re hovering on, which ones they’re clicking through, how many views people had.. So, all these analytics in real time of being tracked for everything that you created. So, you can, in the middle, you can go to a video and all this is created on DilogR, see you don’t have to move anywhere, all the components and the beauty is you can take a simple photo, you can add a quiz, you can add allegiant form, you could add call to actions, you can add video links. So, again, that’s like the Lego bricks, you can start with simple, you know, put one interactive hotspot and you’re in business. Imagine somebody comes to your website, they see something that’s intriguing and they click and you give them some information and then you can move them to wherever you want or they can sign up. Micah: So, basically, you’re saying you’ve got an image that looks interesting, you use DilogR to add some hotspots to make it interactive, you throw that on your site and it’s the beginning of the engagement that then leads into, you know, something, some sort of branching based on what they do with it. Gary: Yes, and you could put this as a link in you e-mail, you can put it in your blog, you can make it your whole landing page, you can make it part of the page so essentially and then it links and all your leads are being collected in let’s say Infusionsoft or ActiveCampaign. So, all these different things are going on under the hood and all you have to know is I have an image and I wanna drop a hotspot and I wanna say something and link and you’re done. You don’t have to do anything more than that and you’re in business. And if you do the right thing, people will interact and you’re creating leads and minutes and it’s all visual. So it could be any visual you want and as you know, the world is all going to visual marketing. And here is, you can choose any of these icons, we have an icon gallery, you can change the size, any of these things to do and I’ll also show you how quickly you can type in, you can pick the hotspot, you can drop it anywhere and choose typing and whatever you want. You can put a link to anything and you’re in business. Micah: That is so cool. So basically she clicks, she selects her image, she puts in some text, off we go. So, this creates the image and then am I right in guessing if she puts a link in one of those things, that’s how they basically click away to whatever’s next? Gary: Yea. So they could, like I have, with my book, they click on it and it links right to Amazon, go buy my book, right? So it could be, you know, “hey, you interested in attract, click on this, it’s a blog article. Hey click on this, you know, go there” or I could send the Facebook add over to this that they see, they link on that, they interact, now I know more about them and I’ve built my custom audience. Micah: That’s so cool. So, I haven’t even seen this yet just so everyone knows and when you’re talking about like “yea you can just do it with an image” I was like “I’m interested in what that looks like because I have no idea what you are talking about” and seeing it I was like ” yea, I can see you come to the site and the top area you know, is a big, really engaging, cool looking image but there’s little calls to action all over it. Not a bad way to go over some wall of text or like some square, you know the traditional website, right? So, yea like this. So, that’s really cool. Show us another example. Gary: So this is a simple trivia quiz and we have what’s called the Quiz Wizard so all you do is type in answers like paint by the number and you can have image answers, right, and with scores and you just put this together and all this is created in DilogR and now you can have social sharing and it’s like a Buzzfeed. Same thing that Buzzfeed needs you now have for yourself so you can do this for engagement, you can do it for allegiant and there’s your score and there’s your free trial and your sharing. So, now look at what happened in minutes you have an interactive image that’s allegiant itself, now you have an engagement social quiz and then you could add from this into a more advanced quiz so when they answer, the beauty of quiz is, how I started the whole company, people want results, right? So if they want this score, I can have before, if you want your score give me your e-mail. So you can change and then when they give you their e-mail you bring them to a results or thank you page and then on the thank you page you sell them. And you give more free, that could be a video or whatever or your webinar or whatever, we’re knocking it out of the park. Here’s the secret, I wanna state this because this is the secret source to what we’re seeing 30 to one even, so I just read articles on the traditional webinar is dead, right? And I was there, right, I was agreeing with them but we’ve found a secret to the webinar and it’s a little like what Frank Kern does but it’s a different approach. His approach is you try to get people to a VSL and then from the VSL you move them to the webinar. But in all of that, you have to do a lot of persuading, right? Because you have to get them to go back to attend the VSL and you sell them as a self liquidating offer of people following me and to cover your add cost then you try to sell them into the webinar. So that takes a lot of work and effort because I went through the process. So what we do is we send them to a quiz, I mean this is like the craziest thing, so 70 to 80% of people will complete the quiz, so I ran numbers against the VSL and because they’re answering you’ll convert at a multiple of what people are attending the webinar or the VSL. So, because of that they’re engaged and they immediately move to a sales page, you don’t even need a webinar. But now we’re connecting it up with the webinar, like John Maxwell, he just connected his results to a sales page and said “hey, basically, you scored this, you’re this type of lead, go buy”, but we’re seeing is we’re linking them over to a webinar or an interactive video and it’s closing like crazy. We had an example where they were getting 10 leads a week and from 10 leads a month we got 600. Then we just saw one where we created for chiropractic, a toxicity quiz. And they were converting, they converted 17 people, 17 000$. We did a toxicity quiz and within 90 days they sold 187 000 using what we put the toxicity quiz in and they paid 390$ for adds and they had some mailing tool list and it went from 17 000 to 187 000 just because we added a pre-quiz. So we’re creating bridges and we’re doing the same with Facebook adds, I don’t wanna get complicated but there’s a way of doing this now with lead adds using DilogR into interactive content. And, so, all of this is changing but we’re getting like 10, 30, 1800 to one returns because we’re engaging them first, as I said before, and because we know what they want because they’re telling us, that it compresses the whole sales cycle and then they keep going with us. So I just wanted to point that out, that all these things we’re creating in minutes can turn into a lot of money and then move them to higher ticket sales without any pressure. Micah: It’s beautiful and I wanna kinda point out to everyone too that the reason I like DilogR in general really, both of the membership site and the sales site, is it’s content oriented, right? So, if you’re using Memberium, for example, you’re a content person or you work for one and, you know, all that knowledge that we put behind the membership site, I’ve talked about it a few times, so much of that content can be used in front of the membership site. So, I like this example of Taylor Swift, even tho it doesn’t seem relevant, you know, if your site’s about drumming or if your site’s about construction or law or whatever it is, you just find someone in your space, right, someone who’s known to your space, have a quiz about them, have a trial. And, you know it’s, it may or may not work, but fact is you can do it so quickly and it’s kinda fun, you’re just gonna get people engaged so even tho this seems like “okay, why is Taylor Swift on here” obviously it’s and example, but I’m just saying in the info space and the content space, which is kinda in a way the celebrity space meaning people only wanna learn from people who know what they’re talking about, right? So, I just loved it. Yea you can reuse content in so many ways and there’s so much of the advanced sale psychology like you’re saying shorten cycle time, increase, I guess you can even say, loyalty with the person as they interact more with you and all these things but yea, at the end of the day for us who do content it’s such a perfect fit to move some of that content and some of that IP or whatever out into the sales funnel world. And for those of you who follow a lot of our content that we’ve done with other companies, there’s some other examples, you know, where they talk about the same thing like, you know, if you have membership content about a subject, take 5 or 10% of it or whatever and put it out there in the marketing world but that used to be just give it away for free or kinda slop it out there in a lot of cases. Not that you’re trying to do that but compared to a really cool interactive experience that you can create with DilogR, yea, you know, you were not quite getting the most from the bit of content you’re giving away for free. Gary: I wanna add, you want me to give you another trick how to do this and have Taylor Swift so let me give you something. I call this, this is one of my really cool strategies, so it’s called the Blogger Quiz so here’s what we did. And this is a way you can get literally a celebrity with your content. So I wanted to show people how to present things and I said “okay, I’m not the most known presenter on the planet, I’m okay” so I said “but who’s the best presenter that we know in our lifetime, Steve Jobs, right?” So my headline was “Hey, what would Steve Jobs think of your presentation?”, you know. And then I gave my blog, I gave examples of the best presentation tips and then at the end I said “Hey, take this assessment of what Steve Jobs would think about your, you know, presentation.” And it went like wildfire, right? So you can take anybody who is known or has some relationship and the beauty you’re giving it free. And what we didn’t talk about you could have retargeting to everything we’re doing, right? Answers, results, Facebook pixels, anybody that’s answered that. So what you’re doing is you’re giving them free and a blog, then you’re giving them free and the assessment so of course they wanna give you their e-mail to get the result what would Steve Jobs say. So, that’s a way you can integrate somebody that’s known in the news with something that you’re writing. So you could say, you know, somebody came out that relates to your area and you find somebody in the news and then you just write something about that article so you’re doing what’s called news hijacking and then you move it into some simple quiz or interactive image because it could be a photo and then you could take that as long as you give attribution you can make the photo of that person interactive and you just created something that will attract people’s attention. Micah: What I wanna ask, because you’ve been really generous with your time, I wanna ask for, you know, one or two more nuggets if you have them at the end but before we jump into that, let me just ask you real quick, because you’re being so generous with all these concepts and, you know, this information which is on the cutting edge, I think, for small businesses, do you wanna just kinda tell them a little bit about DilogR and it’s pricing in case they are interested? You can check that out and then I got one or two follow ups for you. Gary: Yea, well actually, you know, we’ll do something special. We’re in the midst of changing our pricing where I think I calculated we’re gonna be reducing our video about 70% so we’re in the process of going to three prices where we’ll match up with any one of, you know, video or quiz or any other technology out there. What you’ll be able to do is get DilogR for, the entire thing for a hundred dollars and you’ll pay that for any of the major video platforms and then you’d have to pay separately for the video for the quiz platform and the survey platform and the webinar platform that’s recorded. And then you’d have to pay for the interactive image platform and the interactive slide platform and then the certain technologies that none of them have so there will be no better value that we know of in the world and all of this is novel ready automatically and it adjusts and reads all the devices and we’ve also added the ability to put text so you can put it on signs and other places and text your content so you have offline, online, mobile and we’re quickly making changes so we’ll have one of the leading mobile platforms for content in the world. So, that’s what DilogR is about and, you know, I’ll honor that for anyone if you get in touch and say with Memberium will give you the, you know, the new pricing that will be out within a couple of weeks but since we’re in advance of that I’ll let you know that and if anyone is interested in our webinar which teaches you all this you can get in touch with, you know, Gary at DilogR or dilogr.com and, you know, let me know if any of you are interested, we’re coming out with a whole training on how to do all this. So, you know, that’s the DilogR story so to give another tip, you pull your data, your audience in from Facebook, which is generalized data, you ask them questions, we pull up the data and then it moves it to custom audience and we’re in the midst of putting analytics together that would be able to track from Facebook all the way through to attribution of where the lead came from and what led to sales. So, we will be adding that in the next 30 days or less so we believe we have the most powerful integrated technology for this type in the world for the price. Micah: So, I’ve got 2 or maybe 3 follow up questions for you and they are gonna be a little off the wall but the first one is, in building DilogR what do you wish you had known when you started that you know now or maybe in other words like, what’s something you would’ve done differently knowing what you know now? Gary: You know when I started DilogR I didn’t realize, you know, how much was out there to integrate and what it.. the idea that I wasn’t highly technical I can conceptualize technology for some reason, that was a gift, but the way of understanding the details of what it takes to truly interact with people in a digital world and how to translate the two was a challenge for me. And we never promoted DilogR with just beginning in any way where we try to scale it and so I think the hardest thing was how to articulate 1) what DilogR does, because it does a lot and it’s a consolidation play like years ago Word did or whatever so takes a while for people to understand cause they’re used to seing one thng or another thing but not putting them all together. So I think the biggest challenge for me, which I think a lot of my entrepreneurs, was clarity, you know, going over and over and over how do you clarify what you’re doing and how do you simplify. So we’re in a major process of simplifying, simplifying, simplifying to be so easy and fast and that takes tremendous amount of thought to how do you do that. And so, yea, somebody like Micah and others who’ve been kind to give feedback, they really helped but it’s a challenge when you begin anything new that’s not out there 1) that people get to know what it is and 2) to get clarity and 3) how to simplify. So that’s one thing, and the other thing that I found is that once you get what you feel is your value prop and proposition and how to price it, you have to kinda limit your feature creep and come back to the core and just make it better and better and not try to boil the ocean and have every feature and everything out there but make it so what we’re discussing here that you could really do these things simply and they actually work, rather than trying to say you could do everything, you know. So there’s a lot of discipline and clarity, simplification, pricing and making sure you’re creating great value that people will actually get a real ROI and you’re not just telling them something. So, it took a while to get all the proof of concept that it actually works so those are some of the struggles that I’ve gone through in bringing this to the world. Micah: No, I really like that and I know, you know, DilogR is a software so for you listening you have a membership site but actually the exact same things I found in play and I do both, you know, I’ve got a software and I’ve got a membership site cause we try to eat our own dog food and use our own software and everything and I’ve noticed with the membership site is the same thing. 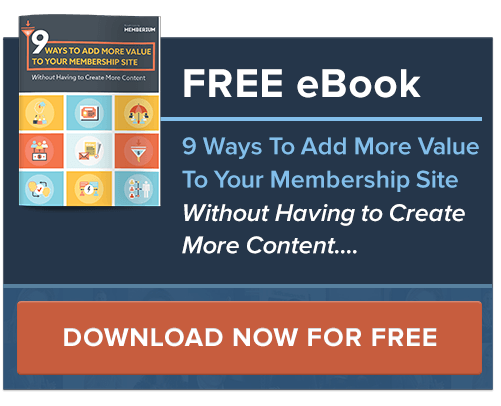 It really is easy to keep adding features to your membership site. I’m gonna make my members happy, I’m gonna add a community, I’m gonna add this, I’m gonna add that and that feature creep waters down your efforts for one, it kinda defuses their attention for two, and just what Gary said, getting back to the core is super important once you’ve realized what it is and it can be a challenge and iterative process and maybe take time to find out exactly what that core is or, you know, what the market responds to but yea, love all that advice. And you know, my follow up question, I’ll ask it anyways even though you’ve kinda already answered it, it’s gonna be, you know, what advice outside of that would you give to people so even aside from what you’ve said, you know what, since you’re such an accomplished business person, what would you tell people generally speaking who are listening to this to kinda keep it in mind, it’s a lot of people starting membership sites, those with working membership sites and really, really successful membership sites, but what would you tell all of them knowing that they’re in the info business and they’re into automation? Gary: I think that the biggest error, I see two things out there, most people when looking at the space for some reason I never get to sense the building a business. In other words, at best most of them when, you know, coming from investment banking and a place where, you know, you had to build a real estate project and hundreds of units or, you know, it’s a 540 000 square foot office building, you know, these are real projects or, you know, businesses. Micah: Yea, that does makes sense, it’s, I know it’s kind of hard, you know I’ve been through start up and good strapping more than once because I made mistakes and screwed things up and so I really empathize for the small business owner but, you know, what you’re talking about, converting all their energy into some sort of asset versus converting their energy into a liability and the example that’s come into mind for me right now it’s the sales person. You know, you’re bringing on a sales person that’s an ongoing cost/ liability, depending on what they tell people versus you build an asset, a virtual sales person. I know any of these examples are kinda like that, you know, anything you build is an asset, similar to automation so yea, I think that’s fantastic advice and I believe all the same things. So Gary..
Gary: One think I’ll just leave is that, so, when I taught business and whatever, an asset, just to give people a definition so it helps, an asset is what puts income in your pocket whether you work for it or not and a liability takes money out of your pocket whether you like it or not. So, most people work for liabilities, the home, the car, this or that, and all they’re doing is going further in debt and they don’t really have an asset. And so, the keeping in mind every day you wake up, are you building an asset and not just a bunch of liabilities that ultimately will catch up to you. Micah: Yep, that’s a somber note. No, I’m just kidding.. But yea, thank you for sharing all the concepts and I hope people are encouraged to, you know, use DilogR if you’re ready for it and I would say most are because it’s so easy, you can do so much stuff with it. I’m always, you know myself, I don’t jump right in when I have an idea, I always take time to digest it but as Gary said if you’re ready reach out to him Gary@dilogr.com and I’m assuming that some sort of robot that’s gonna answer them and it’s not really you. Gary: Exactly, it’s just me, hi guys and that’s it.. But you know, I appreciate anybody that’s spent the time. Micah: Thank you and thank you again, you know, for your time and all your insights for those of you watching. We will put links to the resources that we’ve talked about underneath the video, you know, and some other things, anything that’s helpful but feel free to reach out to support if you need anything. We’re obviously gonna check out DilogR and Gary, thanks again. For those of you watching, check out everything below the video. Gary thanks.